Remember the good old days, before video game RPGs were dumbed down by The Man? When starting areas were full of mysteriously combat-adept rats, and levelling up gave you 1 experience point and you were strawberry floating grateful? That's not what tabletop RPGs are. A tabletop RPG (RPG from hereonout) is a guided conversation between a group of players and a Dungeon Master (DM). The DM relies on sourcebooks, rules, to create a consistent and believable world in which the players adventure. These rules differ from sourcebook to sourcebook but often involve the rolling of die to determine the outcome of challenging situations. As long as they do not contradict the sourcebook, players can do anything, go anywhere, and sexually pester anyone. Undoubtedly. The most famous by far is Gary Gygax's Dungeons and Dragons, one of the first codified RPGs. This was a world of high fantasy, of elves and dwarfs and many, many dice rolls. It is also (in my opinion) overly complex, obsessed with stats and, honestly, best consigned to history. Cyberpunk 2020 is also seeing a resurgence. Mike Pondsmith's seminal take on the worlds of Gibson and Stephenson inspired a generation of nerds to jam radio transceivers into their brains and take on the Corps. Like many 80s sourcebooks, it too is a maze of fumble tables, random effects charts and more lore than The Next Generation season 8. More recently, the Apocalypse system has become the go-to for efficient, pick-up-and-play sourcebooking. The actions of the players and DM are transformed into Moves, and most moves carry a roll of two d6 (six sided die). A roll of 7-9 is a partial success, ten and above is a full success, and anything else is a fail. It's quick, elegant and, most importantly, infinitely flexible. I'm now ravenous with anticipation. Are there any good campaigns to watch/listen to out there? I'm glad you asked friend! Below are a few of my personal favourites, and if anyone has any suggestions I've missed, feel free to let me know! The best campaign I've ever seen or heard, hands down. What starts off as three dudes and their dad trying to learn Dungeons and Dragons turns into a multi-campaign epic with some amazing payoffs. I'm not ashamed to admit I teared up during the finale. You'll be wanting to listen from the beginning here. Waypoint's Austin Walker takes a bunch of friends through various scenarios, from high fantasy, to Mech based scifi, to cyberpunk. This one is a liiiiiiiittle too earnest for me, takes itself a little too seriously. I'd also say you could skip the first season and move straight into CounterWeight, the Mech campaign. Walker is a consummate storyteller however. A bunch of smalltime actors and comedians come together to play a fantasy RPG...with a twist! 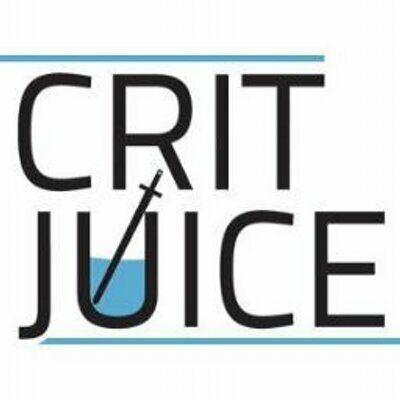 Each time a crit (maximum possible score) or critical miss (lowest possible score) is rolled that player takes a shot. As the series progresses, the rules get harsher until most are sozzled as strawberry float. The campaign is funny, breezy and the opposite of FaTT's po-faced seriousness. That's it. I'm quitting my job to become a DM! Do it. It's what Gygax would have wanted. 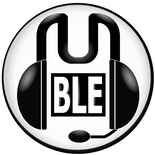 Last edited by Tafdolphin on Fri Jun 22, 2018 12:31 pm, edited 1 time in total. Sick thread OP, well done. I really enjoy RPGs, particularly D&D5E recently. I'm between campaigns at the moment, but the last proper one-shot I played was a hilarious Maid RPG story -- it's a kind of irony-laden parody of anime tropes, and needs a certain kind of group (weebs! ), but it was very funny. I'm just about to start playing in a Ryuutama campaign set in the Pokemon universe (awkwardly I'm actually running a bit late choosing the starter for my character...). I'm also sitting on a D&D5E campaign I wrote and plan to GM, which is an elaborate, dorky parody of fantasy/sci-fi anime that plays out over 13 "episodes" (short-to-medium length quests). I'm playing 5e with people from Rllmuk and another homemade campaign with real life friends - both over roll 20 for easy. I've tried listening to Adventure Zones a few times but I really can't stand the McElroys and their snotty geek voices. P.S. @Taf: You mentioned not liking D&D as much as other systems, which is totally fair (you strike me as a more free-form roleplayer!). I don't know if you've tried 5E, but I think it strikes a nice balance for a D&D game: it drops the "board game" nonsense from 4E, streamlines some of the crunch of 3.5E, and assumes by default you aren't using a grid for combat. If you're used to either 3.5 or 4, it might be worth at least glancing at 5. I'd guess it probably won't convert you though. Karl wrote: Sick thread OP, well done. Remember that time we co-wrote a Call of Cthulhu game set in 1919 where a load of post-WWI spiritualists accidentally summoned Shub-Niggurath, became cultists and planned to mustard gas an entire village while they were in church on Christmas day as a sacrifice? A good time was had by all. Mafro wrote: I've tried listening to Adventure Zones a few times but I really can't stand the McElroys and their snotty geek voices. I do get this. It takes a while but, just like that woman who's always screaming outside my flat, you tune it out. Tafdolphin wrote: Me and some friends played a starting game of Legacy: Life Among the Ruins last night and...it was probably my first real experience of bad/unprepared DMing. The game is powered by the Apocalypse World system, which means the dice rolls are simplified and each player (and the DM) evokes certain Moves in order to do stuff. This twist here is that you're not just controlling a single character but an entire family, be they Mad Max esque raiders or stranded aliens. Setup went well, everyone's families were well thought out, but as soon as we started playing things...fell apart. The game is played in zoomed out (general family) scenarios and zoomed in (character based) scenarios and the DM began by asking 2 families about the former. He the forgot the remaining families (mine included) and started a zoomed in scene involving only 2 of the 4 players. For ages. He then included my family by creating my family situation himself (which annoyed me) and the last player had his character written out of the scene, again by the DM, and was assigned a throwaway 'Quick' character in my family. We then played out a fight scene. For an hour. It was extremely messy, with Moves being activated in name only without any adherence to the conditions of said Moves. After the fight, my character retroactively received 3 damage which was incredibly annoying as I didn't get the chance to defend myself against this, I just received them. The final scene was based entirely around one player, with the rest of us playing Quick characters. This final scene gave the family who was already the most powerful, more power. He is now, for all intents and purposes, undefeatable. He's playing a family of farmer peasants. It was 3 and a half hours of boredom and frustration. Ggrrr. More positively, I'm preparing a campaign of The Sprawl, another Apocalypse powered game, this time cyberpunk themed. I tried getting my head around 2020 but it was too much; fiddly, slow and ruled by luck. A friend is also hacking Blades in the Dark mechanics into the Eclipse Phase universe so hopefully we'll get to play that soon! Let me know what you think if you do read up on it. It's not for everyone, or for every campaign, but I think it's an earnest attempt to drag that kind of combat-heavy "fighters & wizards" roleplaying into the 21st century and I personally appreciate & like that. I played AD&D second edition for about 10 years and it was great. My group only ever played low and mid level characters with our highest ever level being 8th but the DM was great and I set-up a table in my double garage we could all sit round and it was always fun. I'd play a new game in a heartbeat but I don't know anyone who plays now. As a side note I always name my characters in games after my first D&D character, A Dwarf Fighter called Bravestar. What's everyone's experience with Roll20 been? Or rather, when you peeps have played online, how have you facilitated everything? D&D is awesome but I really want to GM a game of Vampire in the WoD universe. I'm hoping by the time the next edition releases I'll be able to rope some friends into it. At the minute I'm a player in a Curse of Strahd campaign and another completely homebrew D&D campaign so it's not like I'm starved for RPG action. I recently quit a Tomb of Annihilation campaign that I was playing at the local board game shop because the DM was gooseberry fool and most of the other players were either severely autistic or just plain weirdos. 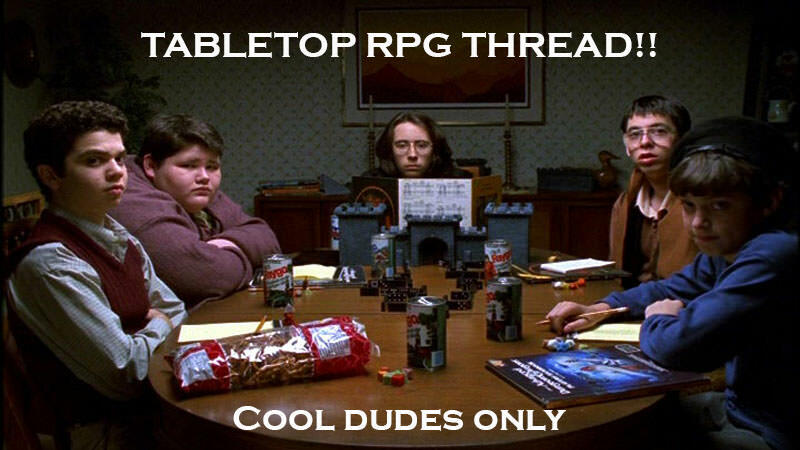 I’ve been fascinated by tabletop rpgs for years, and have read several rulebooks, but I don’t have the friend group to play with. I’d recommend another few podcasts. Waterdeep Mountain High is a very funny New Zealand d&d podcast, recorded in front of a live audience. It’s story involves the adventures of some high school students and their substitute teacher. Neon Rivals is a very professionally produced show, complete with great music & sound effects. They’re going through Tomb of Annihilation. The same people have a few other podcasts, Godsfall and The Dungeon Rats. I’ll definitely check out your recommendations, Tafdolphin. So I'm setting up my new Cyberpunk game. Sent this little homemade primer to the players, of which I was rather proud. If all else fails, make up a bunch of cyberpunky words and string 'em together! Could we not, like, arrange some kind of GRcade game over Roll20? I can't say I'll definitely commit but it would be good to know if there's an interest for such a thing. Tragic Magic wrote: Could we not, like, arrange some kind of GRcade game over Roll20? I can't say I'll definitely commit but it would be good to know if there's an interest for such a thing. It's a game about telling cool stories in any setting or campaign with a very minimal rules framework which is all about being creative and telling a cool story more important than picking over specific rules. You could totally do a D&D campaign or anything with it. I'd be up for potentially joining some kind of online gaming sessions for tabletop gaming. One thing I always kind of regret is never really being able to play anything like D&D when I was at University.